Ever walk into a payday loan place, and walk out feeling depressed? Experience something completely different at SimpliFast Lending with longer terms, high loan amounts and service with dignity. We offer a simple, fast and straightforward line of credit that will leave you feeling tailored-to. Do you have a surprise medical bill or car repair? Or some other unexpected expense? We are here to take care of you with the loan experience you deserve. Your business is appreciated at SimpliFast Lending, and you’re treated as a valued, cherished customer. You’ll be treated with dignity and accommodated like a member of the family. With a SimpliFast Lending line of credit you’ll enjoy longer loan terms and higher loan amounts, compared to most payday loan stores. 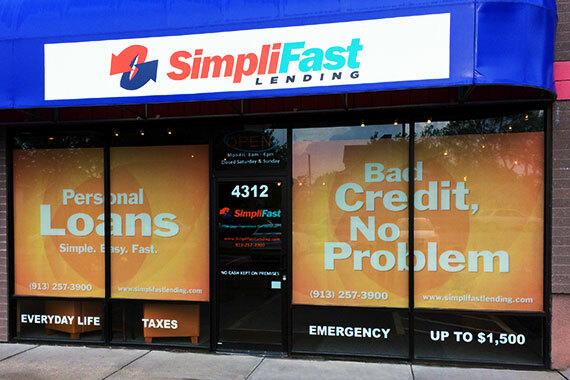 SimpliFast Lending is not a payday loan store. If approved, you will receive a line of credit, so you only have to submit an application one time. You may request draws of $200 or more on your line of credit, up to the maximum approved amount and you may experience an increased credit limit offer, assuming you have made previous payments as scheduled. You can sit back and relax as a SimpliFast Lending loan officer fills out the application for you, or you can apply online. It will only take a few minutes to find out your available line of credit.